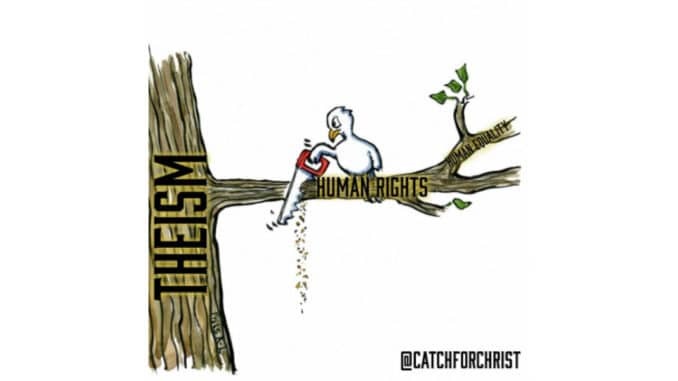 Theology of Inalienable, Human Rights | Endowed by Creator? On the Fourth of July in 2018, I wrote the following Facebook post. Inalienable Rights Endowed by our Creator? This theological statement in Declaration of Independence seems to be the bedrock of American law. Though many Americans failed to practice what they preached, this is the very theological principle Dr. King cited in the fight for equality. In any case, as America becomes increasingly secular, as we increasingly — in principle or in practice — reject any notion of a Creator — do we not see how we will undermine the validity of this theological statement? If we reject God, do we not reject the very foundation upon which human rights are built — the bedrock of American law? “Our Founding Fathers believed devoutly that there was a God and that the inalienable rights of man were rooted not in the state, nor the legislature, nor in any other human power—but in God alone.” (Tom Clark, Supreme Court Justice). Just wanted to provide a visual representation of what happens when we in American society try to separate ourselves from God — perhaps without knowing the logical ramifications of such self-separation. Worldview matters. It is always important to illuminate the logical consequences of competing philosophies. If one is considering rejecting God, one must realize that there is a quite a bit at stake. Mark Water, The New Encyclopedia of Christian Quotations (Alresford, Hampshire: John Hunt Publishers Ltd, 2000), 32.